I didn't address the urban blight issue because I think it's seriously overblown (pun unintended), while the environmental concern is not. At least to me. boudreaulicious wrote: So WHY hasn't some genius figured out a way to create an environmentally safe, cheap, plastic grocery bag????? If they can develop the damn thing (see Aschie30's note re: the doggie bags), they should be able to figure out a way to make them cheap--isn't that the American way?????????? There exist corn-based, biodegradable plastic grocery bags. (Green Grocer hands them out, albeit grudgingly -- if you buy one item, they expect you to (rightly) carry it out bagless.) However, most grocery store consumers don't give enough of a crap to demand these bags, so if you're Jewel, you might as well go ahead and give out the cheap, nonbiodegradable type, as neither your customer base nor your corporate ethos demands you do anything else. So, in other words, a double bonus--a use for corn that doesn't make us fat and stupid that's biodegradable to boot! Only concern is that if they're being distributed grudgingly, they might still be fairly pricy (otherwise, not sure why they'd be rationed by GG). People didn't give a crap about a lot of things that they do now so, perhaps, it's only a matter of time before demand creates a market for a better priced and more available resource. merkay wrote: The plastic grocery bags are the best thing I have come across for cat litter disposal purposes. They are the perfect size for what I scoop out of two litter boxes, and they have the helpful handles to make the whole process easier. I would be sad if I had to start buying garbage bags for cat litter. When I volunteered at PAWS Chicago, the Kitty City volunteers would bring them in for just that purpose. They went through a lot of them! Coming to you from Leiper's Fork, TN where we prefer forking to spooning. I get a lot of plastic bags in my yard-- I have hedges that act like baleen to strain the bags out of the wind. However, plastic bags are not my worst litter problem-- if the Aldermen are serious about litter, they should ban McDonalds packaging-- I get at least 2-3 bags of McGarbage on my lawn each week. Unfortunately, one cannot ban everything that is disposed of poorly by the inconsiderate. That said, with this thread in mind I happened to fish out a couple of used Target bags from my satchel last time I was there-- the dude at the register gave me 10 cents off. I wish more stores did that. Twenty-seven stores in Evanston will no longer be allowed to use plastic shopping bags starting Aug. 1. The Evanston City Council approved the ordinance this week prohibiting the use of point-of-sale disposal plastic shopping bags in stores larger than 10,000 square feet, according to Evanston officials. Hors D'oeuvre: A ham sandwich cut into forty pieces. An unfortunate decision, since plastic bags are easily recyclable. The problem isn't the bags themselves, it's the fact that so many people don't recycle them properly. The appropriate answer would be to provide incentives for recycling, and maybe penalties for not recycling, rather than a total ban (at least in larger stores). Last edited by nr706 on July 30th, 2014, 12:38 pm, edited 1 time in total. Hi- I live in Evanston, and I volunteered at North Park Village Recycling center in Chicago for about five years. Ideally the best option is for people to bring their own bags. If Jewel would give people money back for bringing their own bags, or would charge for the bags like Aldi's does, then more people would bring their own bags. I bring my own bag the majority of the time to Jewel, and I always bring it to Whole Foods and Trader Joes, but I don't buy as much at either of those stores. I always tell them at Jewel that I don't need a bag for my milk or detergent. The problem with recycling bags is people don't do it correctly, and when I am at Jewel I see trash such as receipts in the recycling bins all the time. From what I have been told, the plastic bags at Jewel might get recycled. 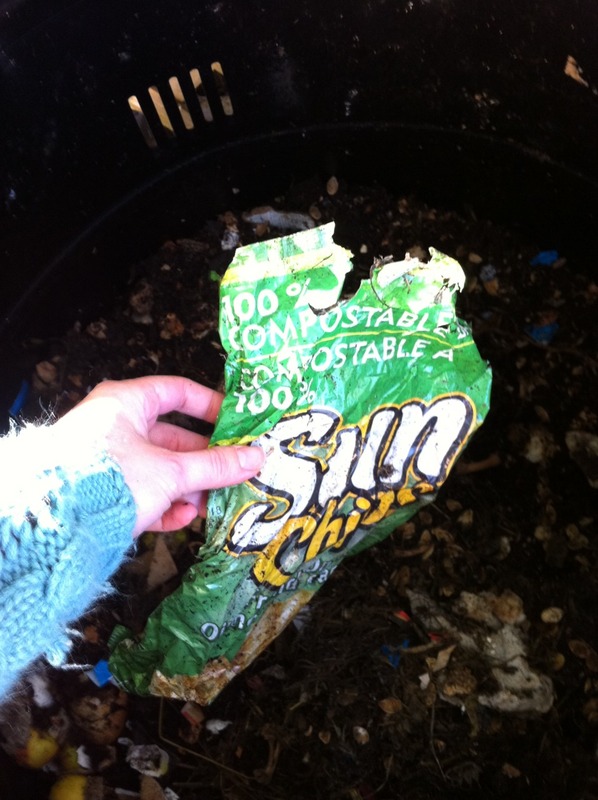 The problem is that if people leave receipts and other stuff in the bags when they recycle it, they contaminate the whole batch, and stores don't want to take the time to check every bag for receipts. When I am at Jewel and I don't have my own bag, I sometimes ask for paper bags so I can use them to recycle newspapers and junk mail. I also acquire the occasional plastic bag at Jewel or another store, and use it at the farmer's market to put peaches in or whatever. Henry charges for bags now anyway. This policy will actually help the recycling program in Evanston. The city of Evanston does not recycle plastic bags, and you are not supposed to put plastic bags in the recycling bins, but in my condo building I see them in there all the time. North Park Village does not recycle bags either, and when people drop them off they have to be disposed of, and there are very few waste bins there to dispose of stuff like that. Hi- The article in the Chicago Tribune. got it wrong. According to the city website, the ban will take place on August 1, 2015 for chain stores that are larger than 10,000 square feet, and on August 1, 2016 for chain stores that are less than 10,000 feet. Restaurants will be exempt, and produce bags will still be allowed in the grocery stores. I have at least three reusable bags that I have acquired for free, including one I got a few weeks ago at the Evanston farmer's market from St. Francis Hospital. It sounds like the farmers will still be able to hand them out at the Evanston market, although I have been told that a lot of people bring their own bags, and like I said before Henry charges for bags. What disease did cured ham actually have?